Father Toufik Bou Hadir, handed a special tribute to the Vice-President of WPF, Mr. Salim Sfeir, for his contribution in the Bkerki Youth annual gathering. 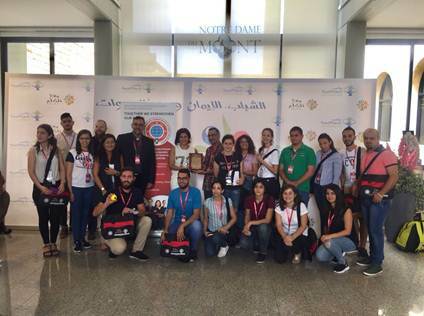 Mrs. Patricia Sfeir, Executive Director of the Foundation, also animated a panel discussion with a number of participants to discuss the concerns of the young Christian generation facing challenges during their job search. She also stressed on the importance of Christian presence in the Public Sector and the importance of their involvement in development projects to ensure sustainable development of rural areas in Lebanon.